As the skies above darken, your pulse quickens, your muscles tighten and adrenaline surges through your veins as you engage enemy aircraft in gut wrenching aerial combat. 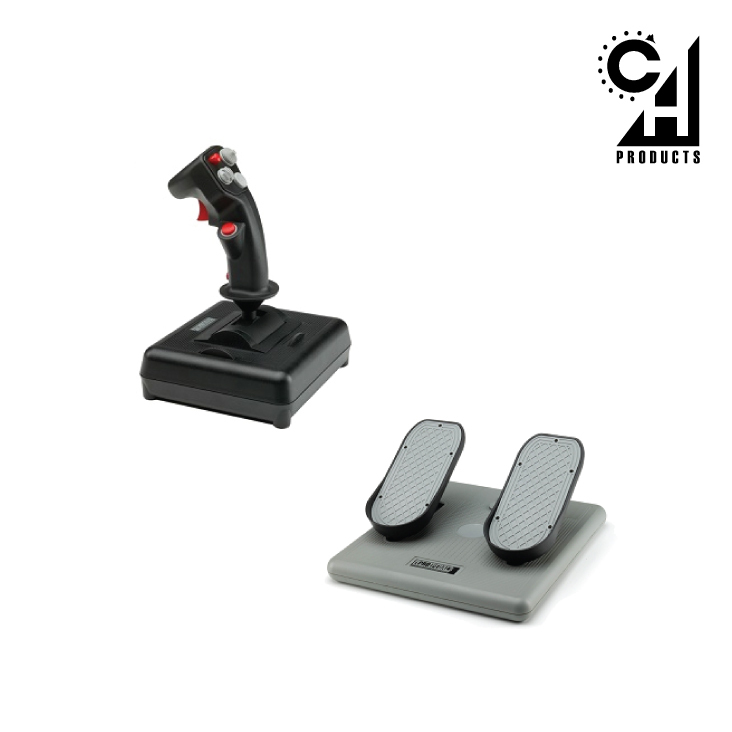 With the CH Products "Finest Hour" flight simulation controller pack, the realism of your next combat mission ascends to new heights. Whether youre flying a Fokker D. VII or Nieuport 28.C1 in Rise of Flight, a Supermarine Spitfire or Messerschmitt Bf109 in IL-2 Sturmovik: Cliffs of Dover, or the Thunderbolt II in DCS: A-10C Warthog, the "Finest Hour" pack gives you the precise control input, longevity of components and quality of build that you need to gain air superiority today and into the future. Combatstick 568 features: * 3 axes and 18 buttons. * X, Y and Z axes for aileron, elevator and throttle control. * 6 traditional push buttons. * 1 four direction HAT switch. * 1 eight direction POV HAT switch. * Total of 128 programmable functions with the included Control Manager software. * Stylised F16 Fighting Falcon (Viper) handle. * Dual rotary trim wheels for precise adjustment of ailerons and elevators. Pro Pedals features: * 3 axes. * Locking rudder axis for gas & brake emulation suiting racing games. Overall features: * Plug and play driverless USB installation. * Quality industrial components and construction. * Large sturdy bases with 7 foot USB cables. * Supported operating systems: Microsoft Windows 98 and Mac OSX or later.